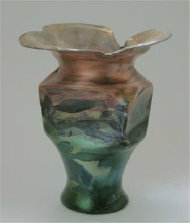 Each vase is unique, formed by metal spinning - a hand process using a lathe. 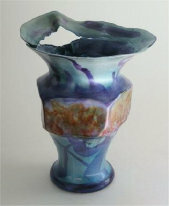 Jim has developed techniques to allow each vase to be formed as if it were a drawing - adjusted as the artist procedes without using the traditional backing form (chuck). 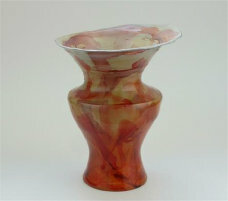 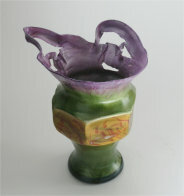 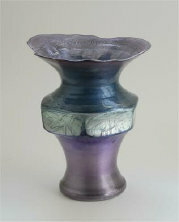 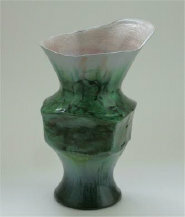 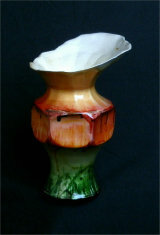 The facets are made by pressing a wooden form into the vase at a certain stage of completion. 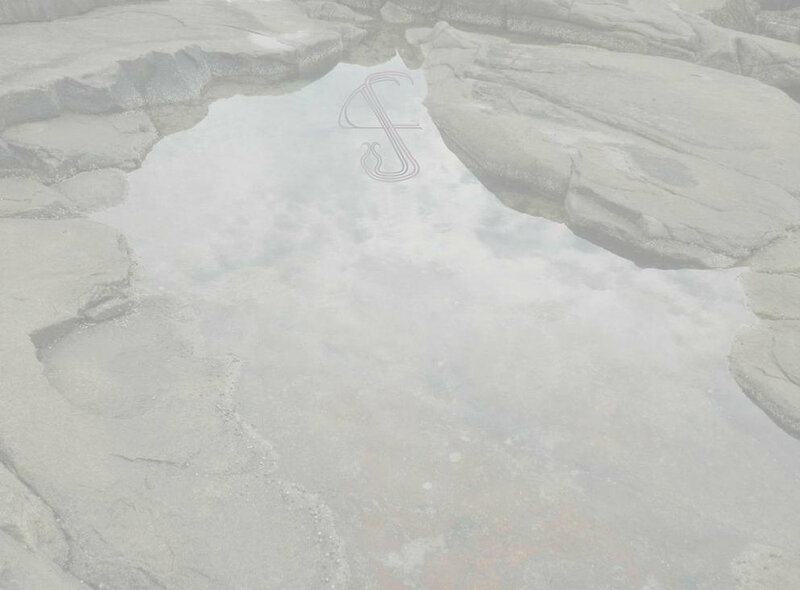 The surface is prepared with glass bead blasting and aniline dye colors applied by brush, spray, or marker, then various shades of lacquer applied to seal and enhance the design.